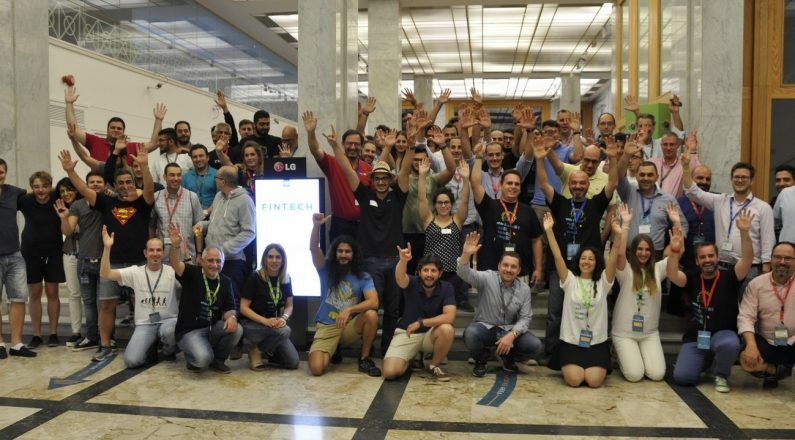 The first fintech hackathon held in Cyprus by Bank of Cyprus on the premises of the Cultural Foundation of Bank of Cyprus was completed on Sunday 11 June. At boc hackathon #fintech, there were 17 teams with a total of 60 developers, while the ideas presented at pitching on Sunday afternoon covered a lot of modern trends in fintech such as banking chatbots, blockchain applications, mobile payments, wallets, piggy accounts and more. 45 mentors from Bank of Cyprus, supporters, the market and the academic community participated in the process while the high level of teams and applications developed made the decision of the jury particularly difficult. The first prize of 6,000 euros was received by the figpay team with their application for payments without any equipment and with the help of face recognition. The 2nd prize of 4,000 euros was received by the Empty Coffee Cups team with their Personal Financial Management (PFM) application, which also consists of chatbot. The 3rd prize of € 2,000 was received by the Heroes Lab team for real-time transfers between customers, legal entities and banks using blockchain technology. An additional prize of € 1,000 was received by Error 404: Name Not Found, which consisted of 2 students aged 16 years. The team has implemented Face Detection applications, finding a closest ATM, and showing an account balance from a third API application. Present during the boc hackathon and the presentations were several Bank of Cyprus executives, including the Deputy Managing Director and Operations Director Mr. Christodoulos Patsalidis, the Director of Retail Banking and Small and Medium-sized Enterprises Mr. Haris Pogangre and the Director of Informatics Philippos of Leonidrou. Boc hackathon #fintech was used by the bocAPI teams of Bank of Cyprus through the developers portal https://portal.bocapi.net/. We want to thank all the contestants for their participation, our mentors, our judges, our supporters, the Bank of Cyprus executives as well as all those who participated in this celebration celebration.